1: The club were founded in 1905 and have played at their current home, French School Meadows for most of their history. The name of the ground comes from the former school for orphans of the French Revolution which was on the same site. 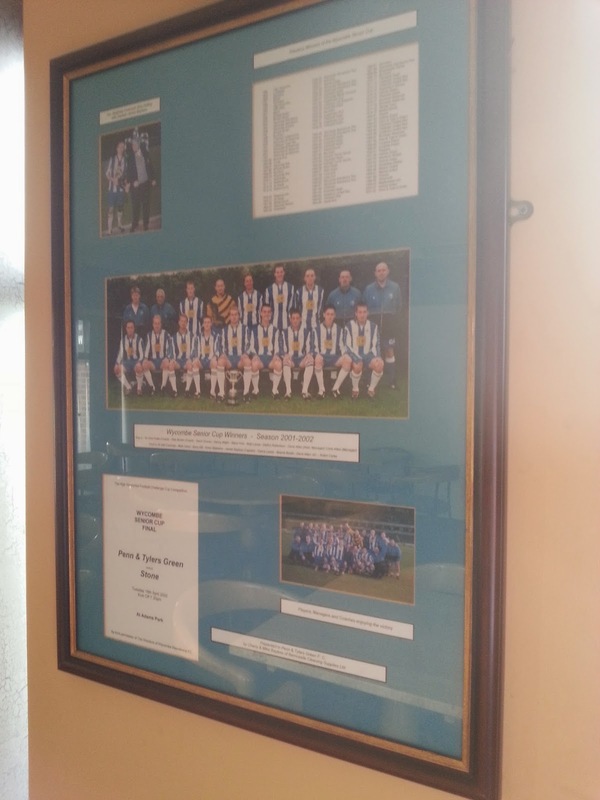 2: Prior to the construction of their clubhouse and changing rooms, the club used the Horse & Groom pub as their base. In more modern times, the venue became known as 'The Doom & Gloom' due to the pessimistic nature of the then landlord. 3: They started out in the Wycombe League, winning it in 1911/12. The team was captained by George Slade who went on to become a champion motor-cyclist and owner of a local garage. The garage still exists to this day, specialising in luxury classic cars and is located around 5 minutes walk from the ground. 4: French School Meadows was purchased in 1949 with showers being installed in 1960, a brick clubhouse being built in the 1980's and finally an extension in 2001 before the recent work earlier this year. 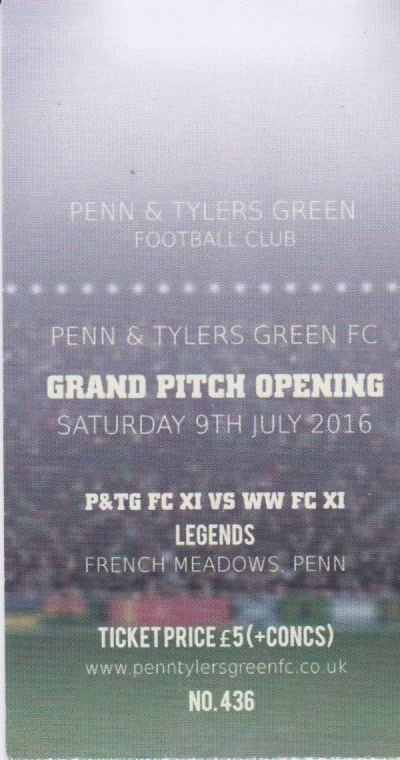 5: Penn & Tylers Green played in the Chiltonian League from 1984 until 2000. They spent all but one season in its top tier with their best finish coming in 1990/91 when they finished in 3rd place in the Premier Division. 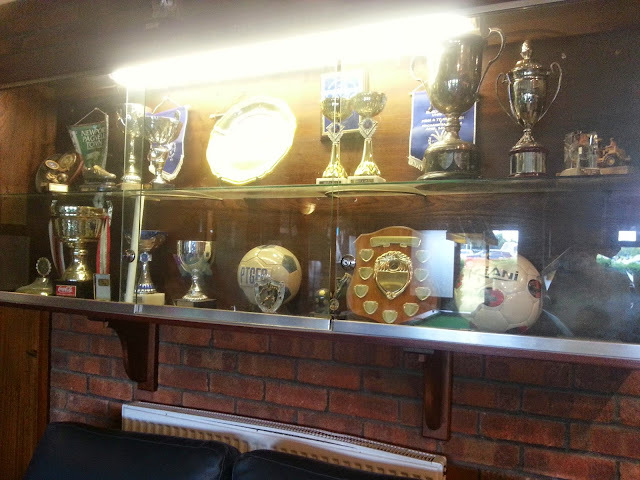 6: Since 2000 the club has competed in the Hellenic League Divison 1 East. They missed out on the title to Quarry Nomads in 2003 as they finished in 2nd place. 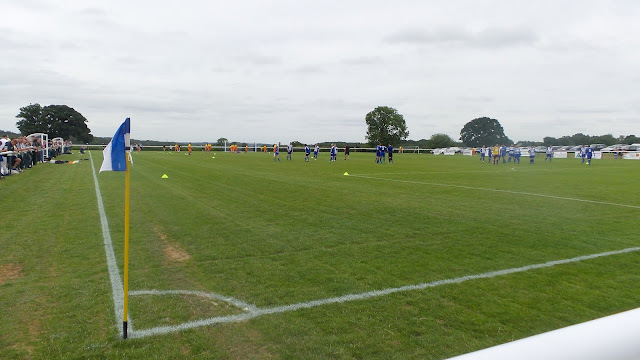 However, they put that right this year when they were champions for the first ever time, finishing a point ahead of closest rivals Bicester Town. They were unable to take promotion though, due to their lack of floodlights. 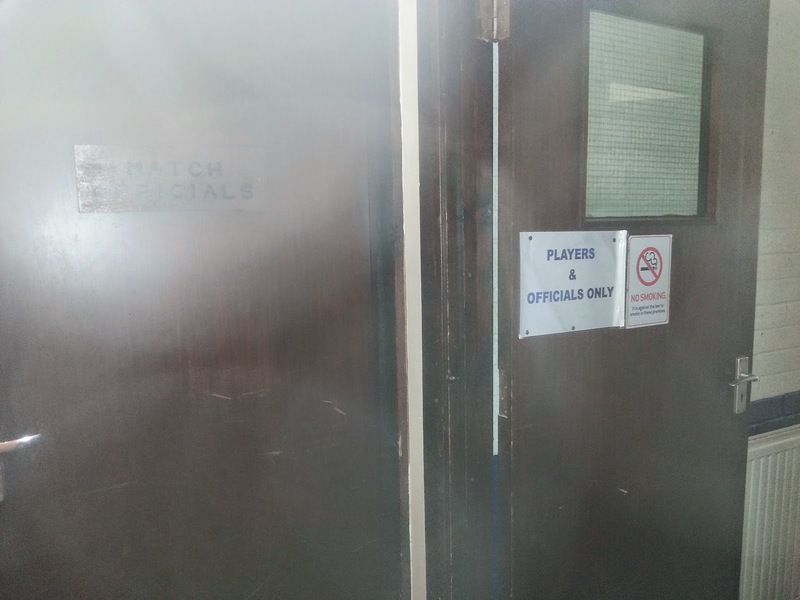 7: The same lack of lights has also prevented them from entering the FA Cup or FA Vase. They do have a number of local homours to their name though, most notably the Wycombe Senior Cup in 2003. 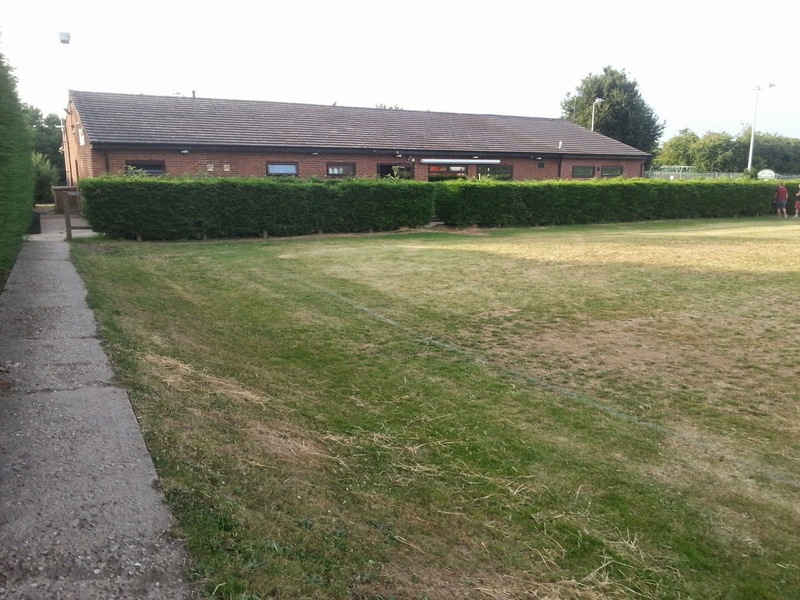 8: The club's record attendance of over 500 came in 1984 as they played a Showbiz XI to mark the opening of their new clubhouse. 9: Notable residents to live in Penn include the novelist Elizabeth Taylor who died in the village in 1975. 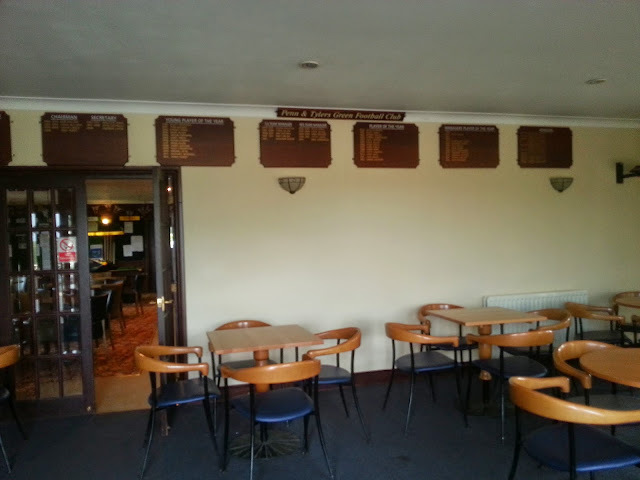 Other residents have included Pauline Quirke, Mary Berry & Gabby Logan. 10: The village has been used for a number of TV locations, most notably an episode of Chucklevision where the local Penn Barn bookshop was used. I wasn't initially planning to a game on this Tuesday. Well, that's a lie. 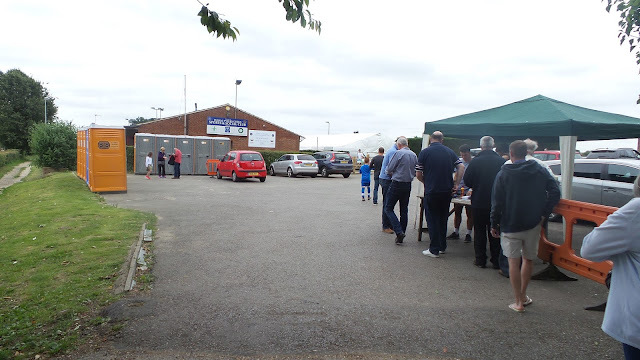 Initially, I fancied going to Concord Rangers v Stevenage, as I had a visit planned to every ground in the Conference South, apart from theirs. 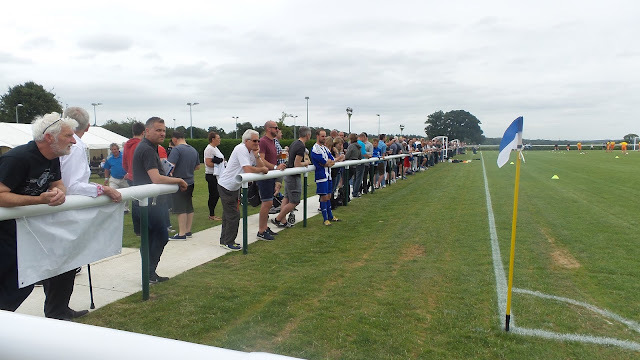 But I couldn't find anyone to go with me, and as I didn't fancy spending nearly £30 in petrol etc going to a pre season friendly, I thought I would be without football this week. But then I hit upon an idea - see if any really local teams were playing, those within a few miles. My nearest side, Holmer Green did not start their pre season until next Saturday - they were just over a mile from where I live. 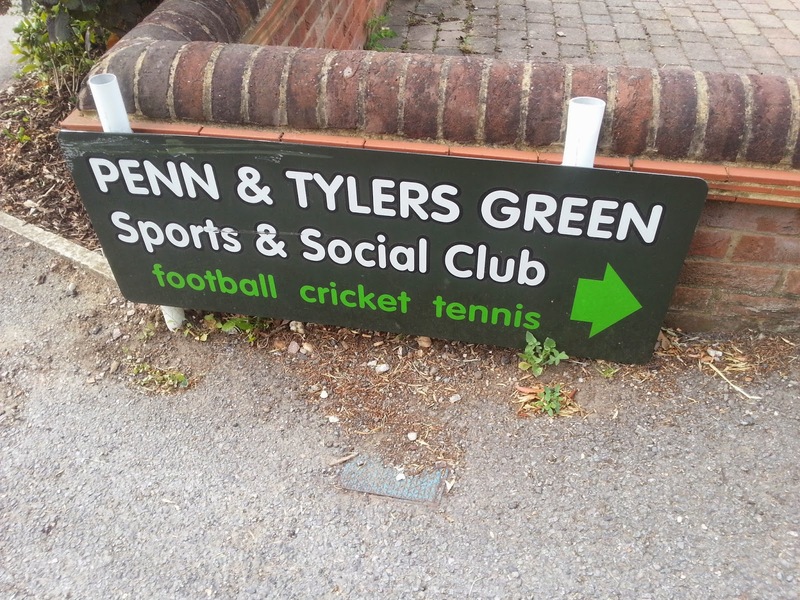 But Penn & Tylers Green, around 3 miles away were, and had a friendly game against Chalfont St Peter. The game kicked off at 6.45PM, meaning I would be home pretty sharpish too, all good when I had to be up at 4am. 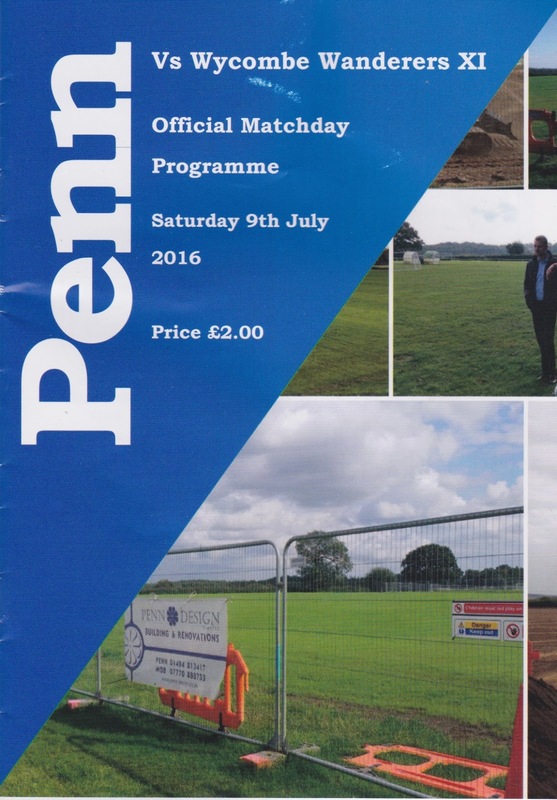 I don't normally look for step 6 football, preferring to concentrate on steps 1-4 of non-league. Step 1 being the Conference National and step 4 being the Division 1's of the Isthmian, Southern and Northern Premier leagues. But this was a good opportunity to go and see a local game and a cheap one as well. The only other time I had been up here was to play football in the fields with mates and watch the 2000 FA Cup Final. As usual with the FA Cup final it was a pretty dull game and Roberto Di Matteo won it with a 73rd-minute goal for Chelsea, beating Aston Villa 1-0. I had the day off as usual, and spent most of the day inside, apart from a quick trip down town and to Wycombe Wanderers to get some tickets for upcoming games. The main reason was Leicester City tickets, for our home game against them in the Carling Cup were on a limited buy-one-get-one-free offer. At £15 they were quite pricey compared to other clubs first round games. But at £7.50 each they were a bargain. I got home and within an hour had sold my spare to my mate Adam after putting a post on Facebook. I spent the rest of the day lazing around until it was time for dinner at around 6PM.I was undecided whether to cycle or drive, but in the end chose to drive as I only finished dinner 25 minutes before and it was a pretty hot evening, not suited to getting even more hot and sweaty. 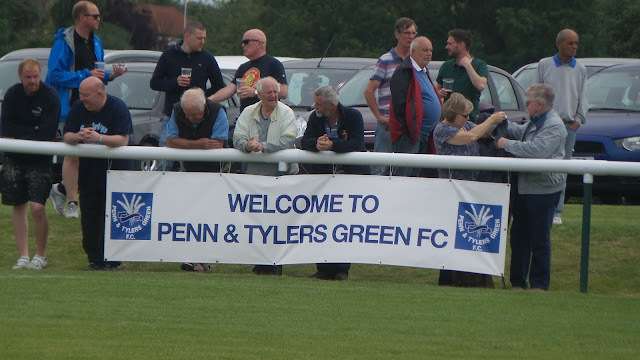 Penn & Tylers Green were in the Hellenic League Division 1 East which contains a number of higher teams reserve sides as well as Chinnor who enter the FA Cup for the first time in their history this season. Chalfont St Peter were a couple of steps higher, at step 4 in the Southern League Division 1 Central. This contains teams a bit more familiar to football fans such as Aylesbury United and Slough Town who were in the Conference in the not too distant past. 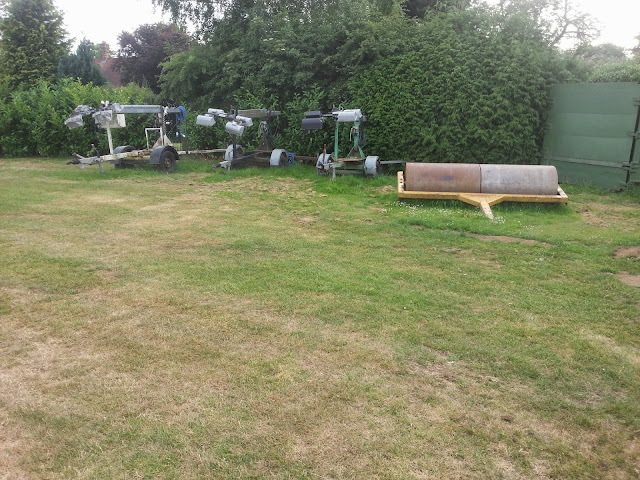 They were playing on the second pitch as the main one was being prepared and watered for the new season. 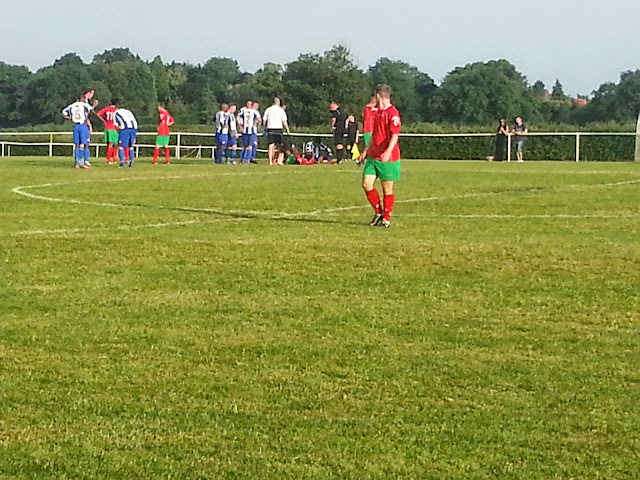 The game kicked off promptly at 6.45PM with Chalfont looking the better side. 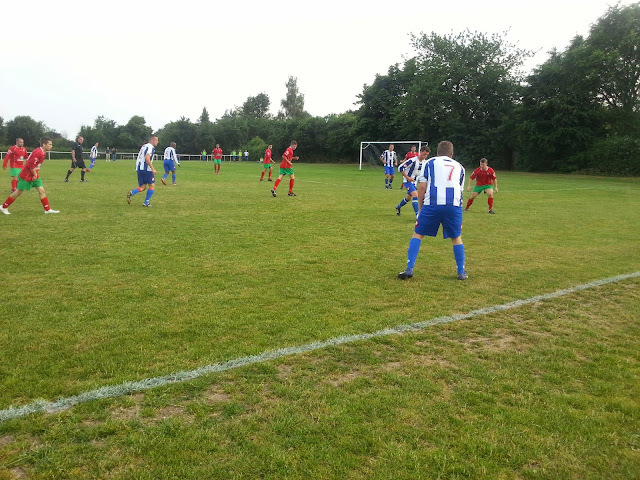 Impressive were their number 11 (who looked like Didier Drogba) and number 12 who made some mazy runs and gave the Penn defence no end of trouble. 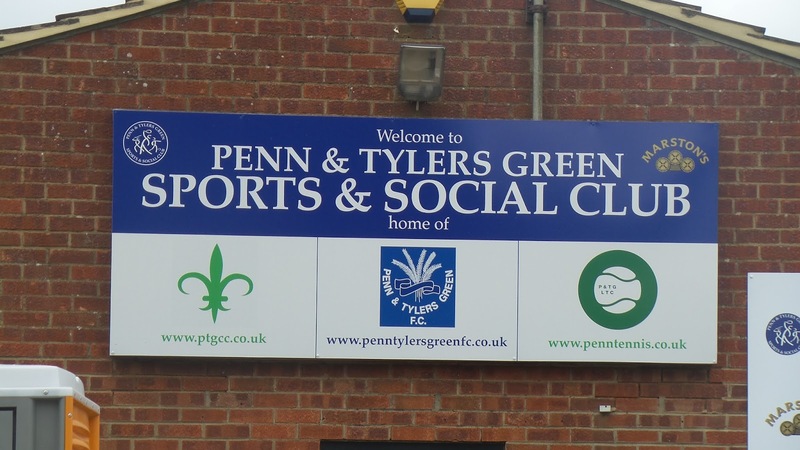 But Penn & Tylers Green had chances of their own and took the lead on 29 minutes. A well worked goal saw number 4 head in from a good cross. Half time came and I went to the toilet and for a look round the bar. They only took 10 minutes for half time and kicked off pretty much straight away after I got back. It was all square 9 minutes into the second period. 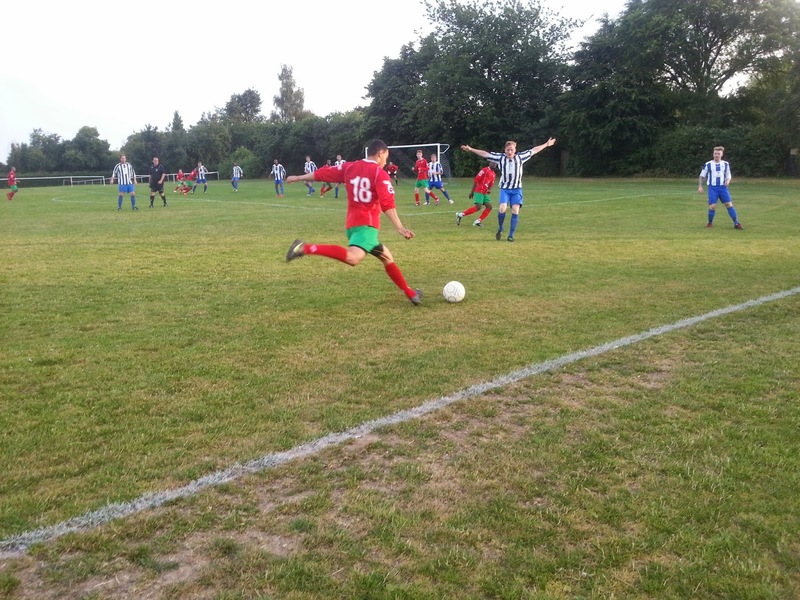 Number 19 'Chrissy' got away from the home defence and finished neatly in off the post with dubious offside claims being waved away by the linesman. Chalfont came out stronger for their equaliser and their number 14 forced a great save out of the Penn keeper with the shot flying in the top corner. Penn had some chances of their own straight after, firstly a routine save and then a couple of minutes later a double save by the Chalfont keeper that saw the resulting shot smash against the cross bar. That was really that for serious chances though, both sides had shots that went wide, but really seemed content to settle for a draw. It had been a good game, and after a quick drive home was back in my room at 8.40, the only cost for the night being just over 50p in fuel. 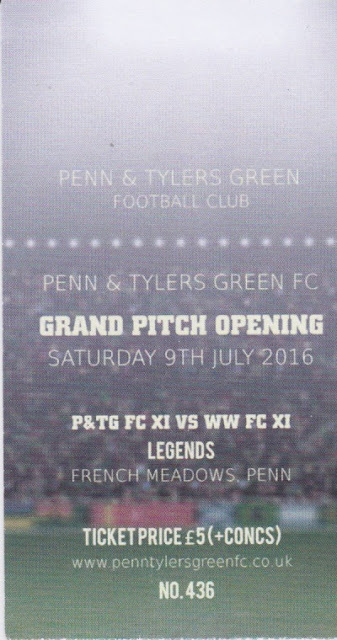 I was intrigued when it was announced that a Wycombe legends XI would play at Penn & Tylers Green FC. 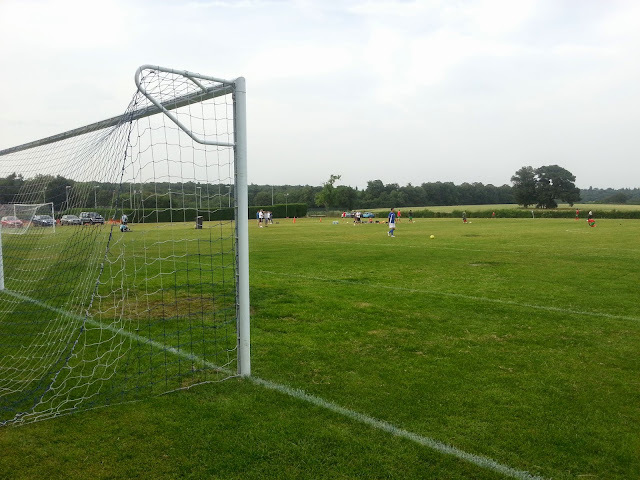 For s start I felt I hadn’t dome the ground justice, especially seen as they had won the Hellenic D1 East last time out. In turn that had opened a ’new [itch’. Nothing too amazing in itself, but having enjoyed my visit last time out and with nothing else on the agenda, I decided to attend the match. 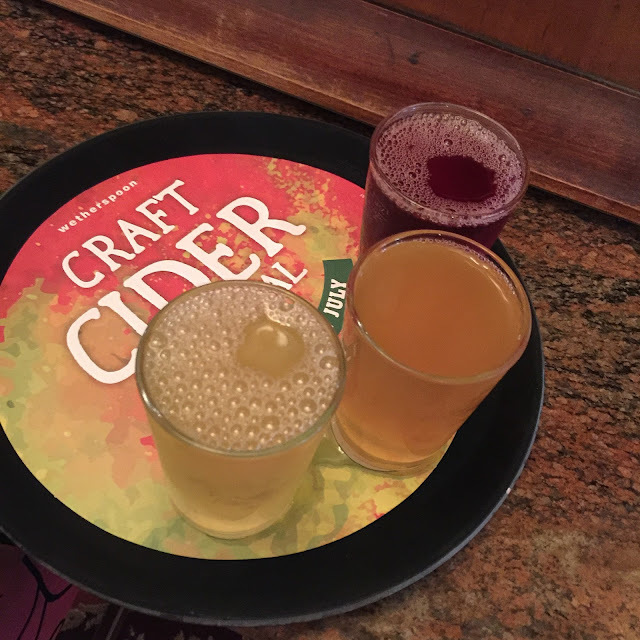 The family were stopping at a local pub for a meal en route, but seen as it was the Wetherspoons cider festival, I decided to make my own way. On the day of the game I woke at 8am and had myself a sausage and egg breakfast. Following a bath, I left home at 10am to walk down town. IT took me just under 2 hours with stops at Lidl and Poundland to buy some stuff for later. Then it was on to the main event and my reason for the walk, with the Wetherspoons Cider Festival having started the previous day. Wycombe may be a very poor town for drinking, but at the moment we are blessed with 2 Wetherspoons so it is good for times like these. 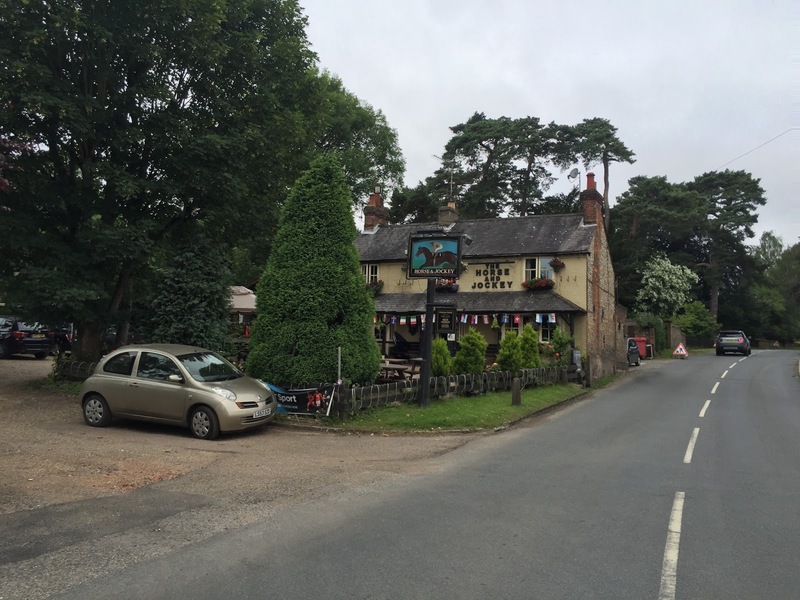 I met Paul & Sue in the Falcon for the first 3, then went across to The William Robert Loosely for my second 3. Owing to the excellent initiative of them doing third pint measurements and my CAMRA vouchers I was able to sample 6 ciders for under a fiver and only consume 2 pints. 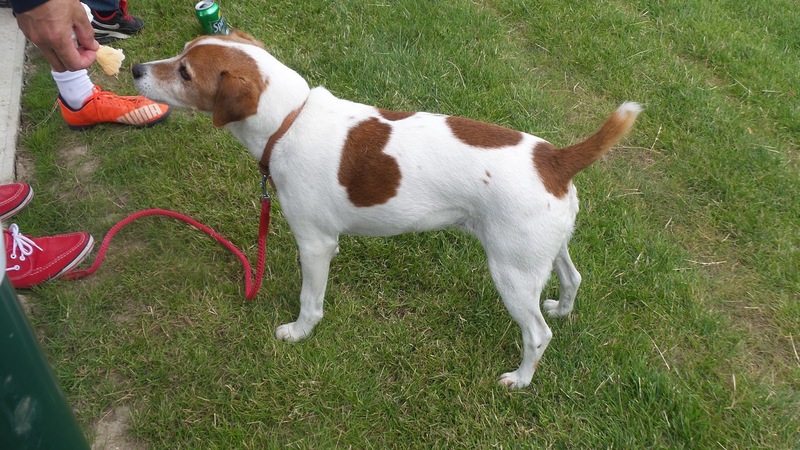 The pick of the bunch was a nice dry one called Hecks 1841 although all were welcome additions. I walked over to the bus station and got the 1.35 bus to Penn, which cost a fairly reasonable £2.80. I went to meet my parents in the local pub, The Horse & Jockey where they were having a meal from some of the fans from the Independent Supporters Club. This was a decent local, with 3 real ciders on - I had myself a pint of Thatchers Cheddar Valley for £4 which was a nice retry. From there it was on to the ground where I paid £5 entry and £2 for a programme. 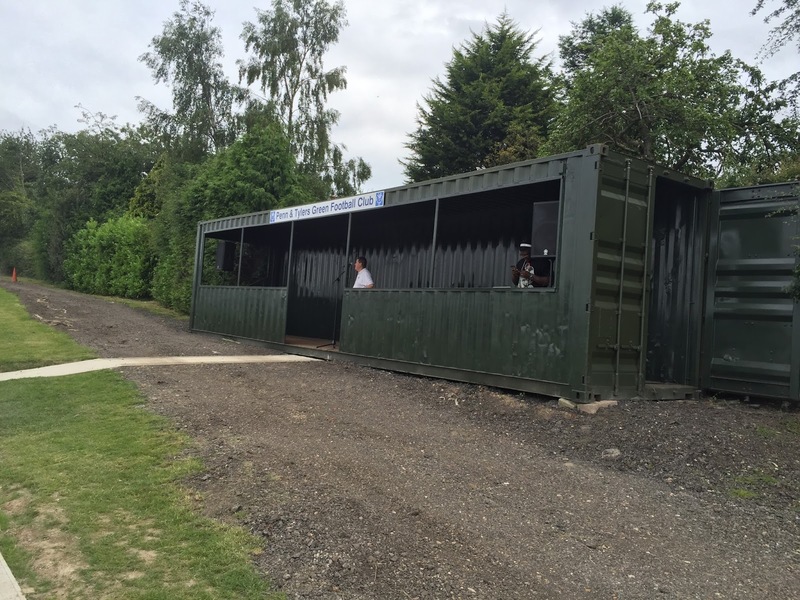 I went round getting pictures of the new pitch and various other things including their new stand which was a converted shipping container. With the Wycombe team featuring the bulk of the squad from the early 1990's, a lot of them were well into their 50's and their figures having seen better days. With only a handful of youngsters thanks to players sons and other hangers-on, it was no surprise that they struggled at first against a much younger Penn & Tylers side. The hosts started with a lot of the players that had romped to the Hellenic Division 1 East title back in May. They shot into a 2 goal lead before bringing their own older players on. Wycombe's class eventually told with Ty Gooden's son (who I think was called James Jarrott) sparking the comeback. 2 veterans rolled back the years as Steve Guppy crossed for Keith Scott to head in a goal that replicated many scored at Adams Park in the mid-1990's. 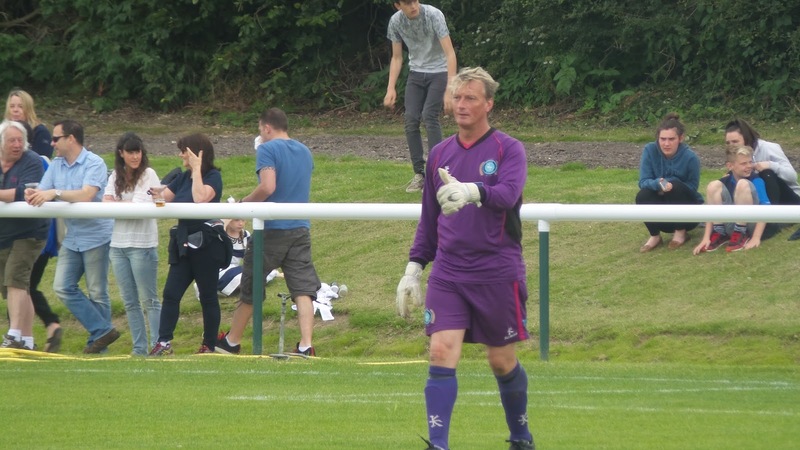 Finally, just before the end, Mo Harkin who came through the Wycombe youth team in the mid 90's but never went on to fulfill his undoubted potential netted the winner. His good run and low shot won it for Wycombe who sent the bulk of the fans home happy. The excellent welcome and hospitality from the hosts was well recieved amongst the Wycombe faithful too. During the game I was most annoyed to see that my phone had died at 30% battery, and it’s not the first time it has done it. I resolved to look into getting a new one. I started watching a whole load of Youtube videos on the subject when I got home, along with a few of my Lidl cans. As per usual when I have been drinking, myself and eBay are a dangerous combination and a new phone with a crazy 10000 mah battery was purchased, as it had got the best reviews out of the 2 I’d whittled it down to. It’s not the most powerful one, but £125 for a phone with a decent battery is not a bad deal, even if I have to wait for it to come to me from Germany. As a result of the drink I fell asleep at 9PM and actually dot a decent night’s kip for once, feeling nice and refreshed for work in the morning. 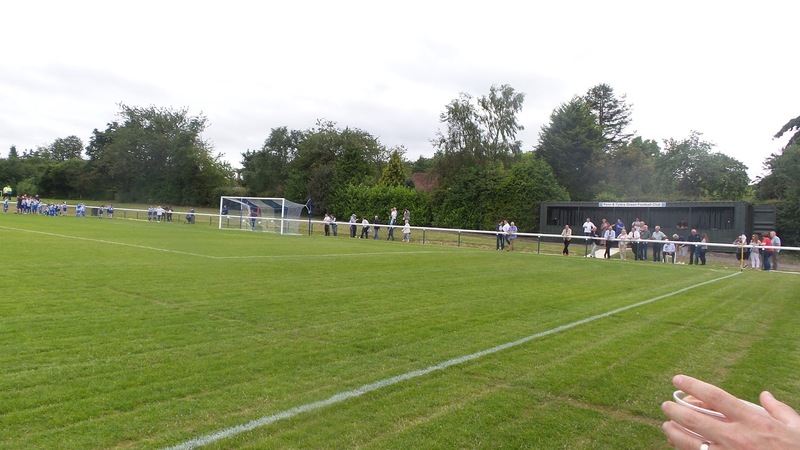 FRENCH SCHOOL MEADOWS was initially very basic, being just a railed off pitch with dugouts. 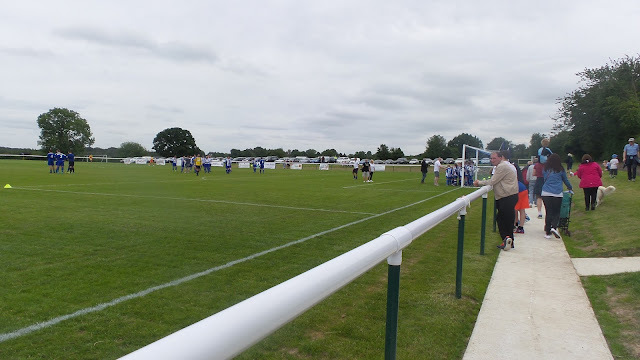 Looking at grounds I have seen in the North West Counties and Northern Counties East League's equivalent divisions, it seems that there is some inconsistency with ground grading at step 6 across the non-league pyramid. On a hot and dry night like tonight that is not a problem, however, come the rain and the cold and you may want to pack an umbrella. The surroundings are certainly pleasant and relaxing too. 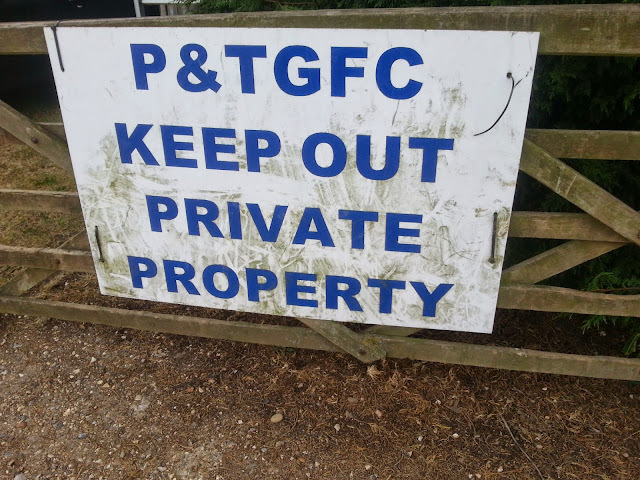 The club officials made me feel welcome, which is always nice. 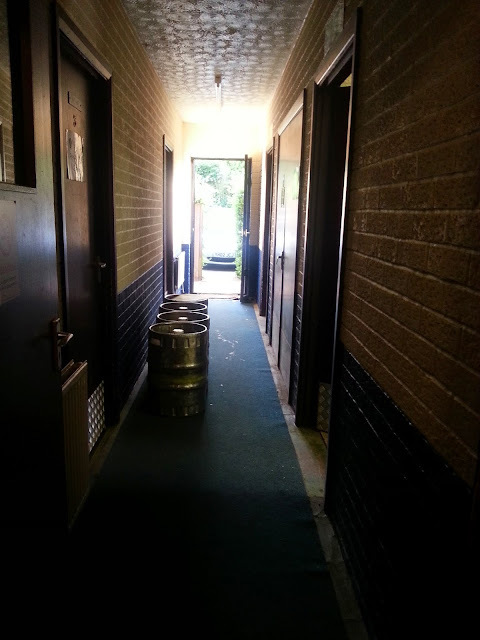 There was a smart clubhouse that sold a decent range of drinks, and had a guest ale on, usually from local brewer, Rebellion. 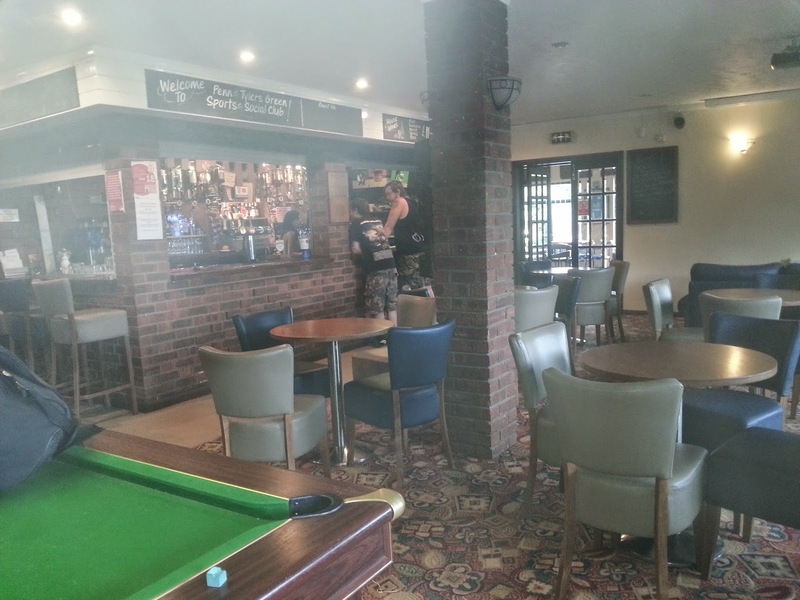 There are a few pubs within walking distance, as well as nearby shops if you are peckish. I enjoyed my evening there and it's well worth a visit if you are a local. In addition, there was a BBQ and beer tent on my second visit. 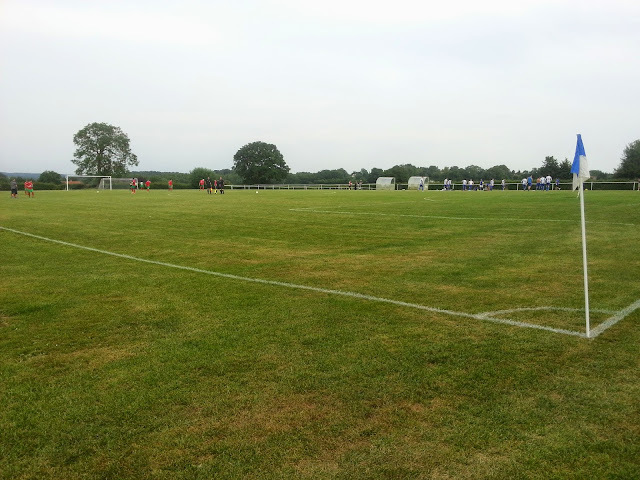 On my second visit things had improved slightly for the new pitch. 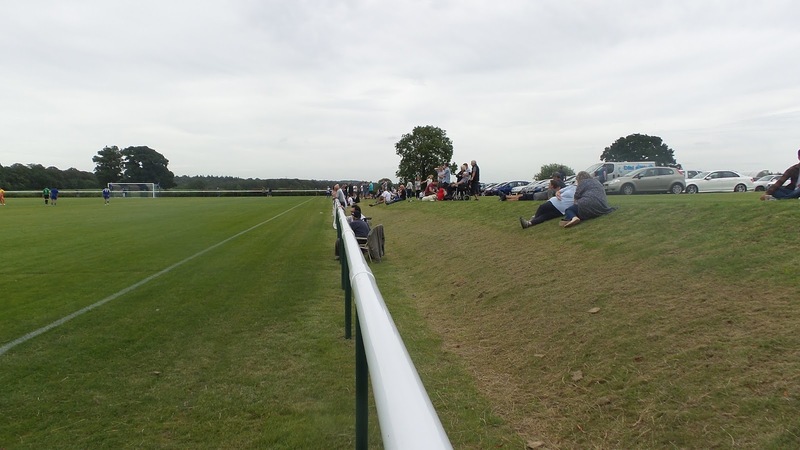 There was now hard standing all around the pitch and a small covered standing area had been added. 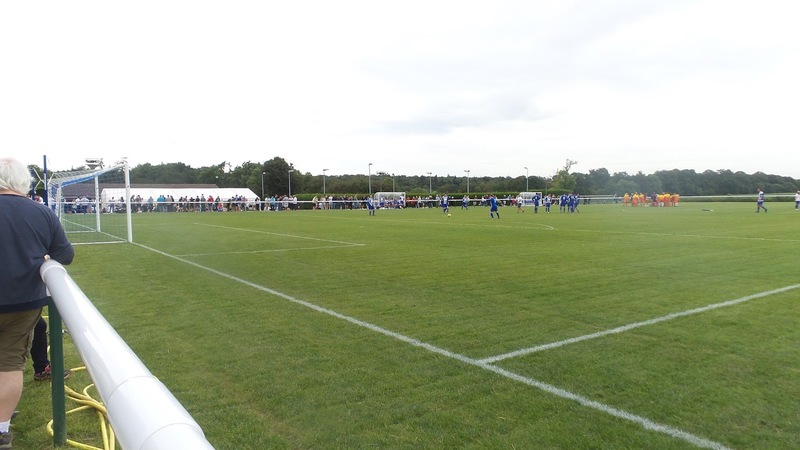 With the addition of a small seated stand and floodlights, something that the funds raised from this game should help to pay for, I'd imagine they'd be good to go for the Hellenic Premier and entry to the FA Vase.